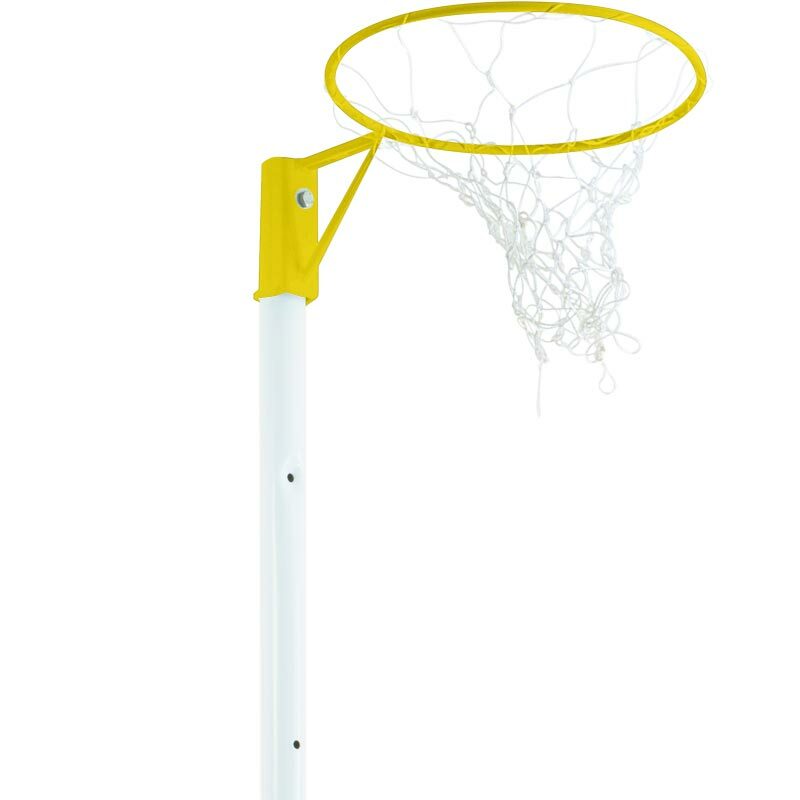 The Harrod Sport ® NB1A Freestanding Netball Posts have been designed to conform with England Netball regulations and are the ideal freestanding post for schools use. 2 x 10mm or 16mm Rings. 1 x 10mm or 16mm Rings. Uprights manufactured from 50mm diameter x 1.6mm thick zinc plated steel with punched holes which allow ring to be adjusted to 2.5m, 2.75m and 3.05m heights. 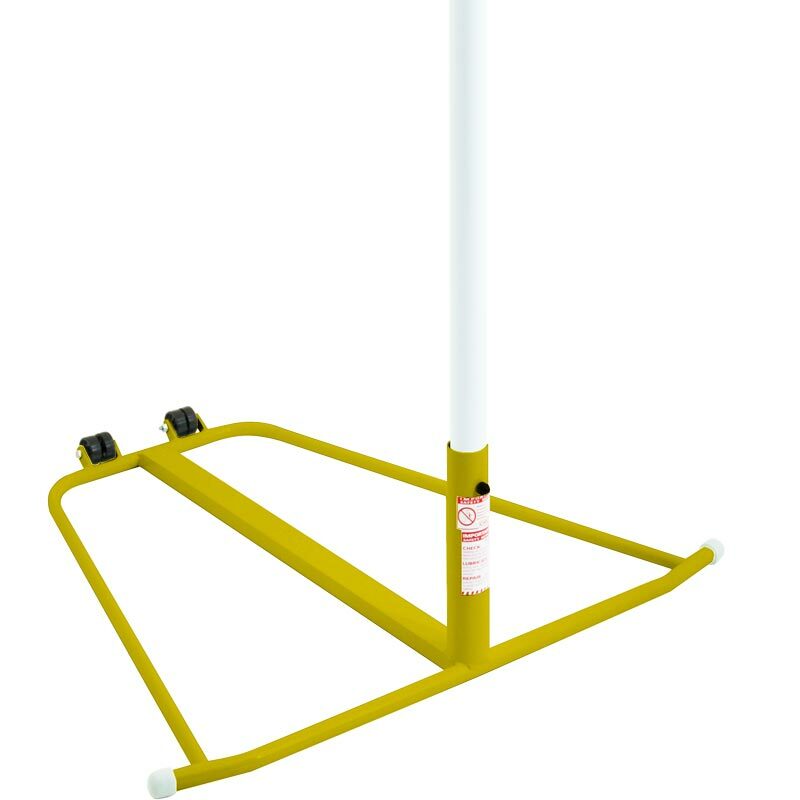 Triangular base which does not protrude into the playing court complete with double nylon wheels and rubber pads for floor protection. Bases manufactured from solid steel bar and constructed so they will not be blown over under normal weather conditions. Bases are polyester powder coated. Available with either 16mm, tubular steel regulation rings or 10mm, solid steel non-regulation rings. Base dimensions 110 x 107 x 36cm. Weight 39kg per pair (10mm ring); 40kg per pair (16mm ring). 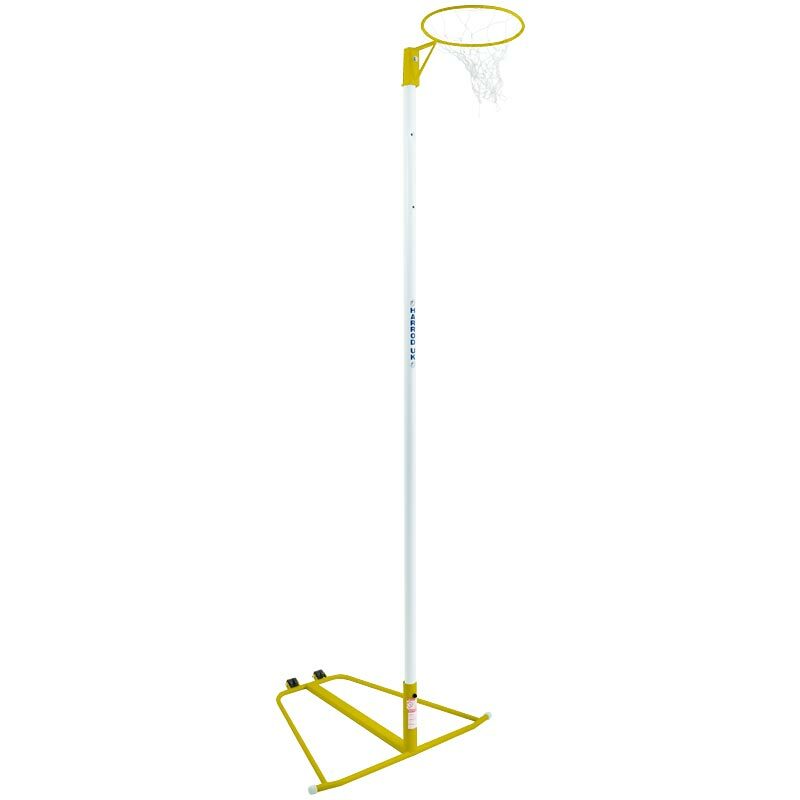 Lost the instructions for your Harrod Sport Wheelaway Netball Posts? Please Click Here to download a new copy.